In an internal memo to various government agencies, Homeland Security Secretary Kirstjen Nielsen asked for civilian law enforcement officers to be sent to the United States-Mexico border, POLITICO reported. Should leaders of the departments of State, Labor, Energy, Transportation, Interior or Justice send law enforcement officers to the border, the move would be unprecedented. Their mission, however, would be simple: to keep caravan riders from entering the United States. If officers did end up at the border, they would be tasked with helping Border Patrol "conduct its mission," rather than pushing papers. 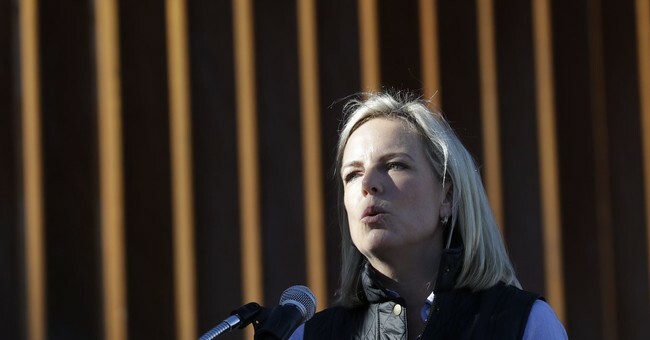 Although Nielsen didn't say how many officers she needed, she did say the strategy was “part of a broader effort to make maximum use of Federal civilian law enforcement personnel,” including from her own agency. While it's common for federal officials to jump between departments as needed, it's not very common for people to jump into Border Patrol and Customs. If law enforcement does head to the border, active duty troops will be pulled from their mission sooner, DHS officials said.